It had been a fairly routine day until about 8:00 PM, when the Prime Minister of India, Mr. Narendra Modi, made an unscheduled live appearance on television screens and radio waves across the country. Over the course of the next hour, Mr. Modi went on to announce the immediate denotification of the two highest denomination currency bills (Rs. 500 and Rs. 1000) in circulation. Between them, the two notes had accounted for ~ 86% of all Indian currency (~US$225 Billion) that existed as of that evening. The move - a ‘crusade against corruption’ — was unprecedented given the current scale of the Indian economy. Over the next few weeks, as the country made itself familiar with a new word - ‘Demonetisation’ (note bandi or, literally, “the stopping of notes” in Hindi), it immersed itself in intense discussions, debates, and deliberations on the merits and demerits of this most unexpected of actions. The debate continues a year on, and we reflect through this post on what Demonetisation has meant for India and its economy, the world of financial inclusion, policy, systemic and behavioural change, and attempt to outline some important takeaways and learnings. From the moment of its unboxing, Demonetisation was set to be a narrative of two parts. First, the question of why such a move, and second (and over time more importantly) the question of how to make and manage change given gargantuan scales and multi-layered complexities. Mr. Modi laid out a handful of primary objectives as he was making his speech. These objectives included denting India’s ‘black’ or shadow economy (which has for many years been blamed for denying the treasury of much needed funds), obliterating fake currency, and crippling terrorist financing. The central theme to the announcement was one of fighting corruption and other negative forces while leveling the field for the honest poor. The government even called for a celebration — a ‘festival of honesty’ as Demonetisation was rolled out. Mr. Modi had been elected to office on a platform of being anti-corruption and anti-black money, and so for many Indians this was a sign that the government, for a change, was sticking to its promises. The narrative was compelling, and one would even venture to say that most people watching or listening that evening were genuinely enthused by the opportunity to nation-build and participate in a once in a lifetime moral adventure — so what if it promised to be a touch inconvenient. While Demonitisation came as a surprise, it was an idea that had been doing the rounds since India’s national election cycle in 2014; think tanks close to the government had laid out versions of what potential action could look like. It is also important to note that this was not the first time India had disbanded certain currency notes. In 1978, the Rs. 1000, Rs. 5000 and Rs. 10000 notes were withdrawn in a similar move. The logic in 2016 remained the same as in 1978 — high denomination notes made it easier for the corrupt to stash and use their ill-gotten, tax evading wealth. 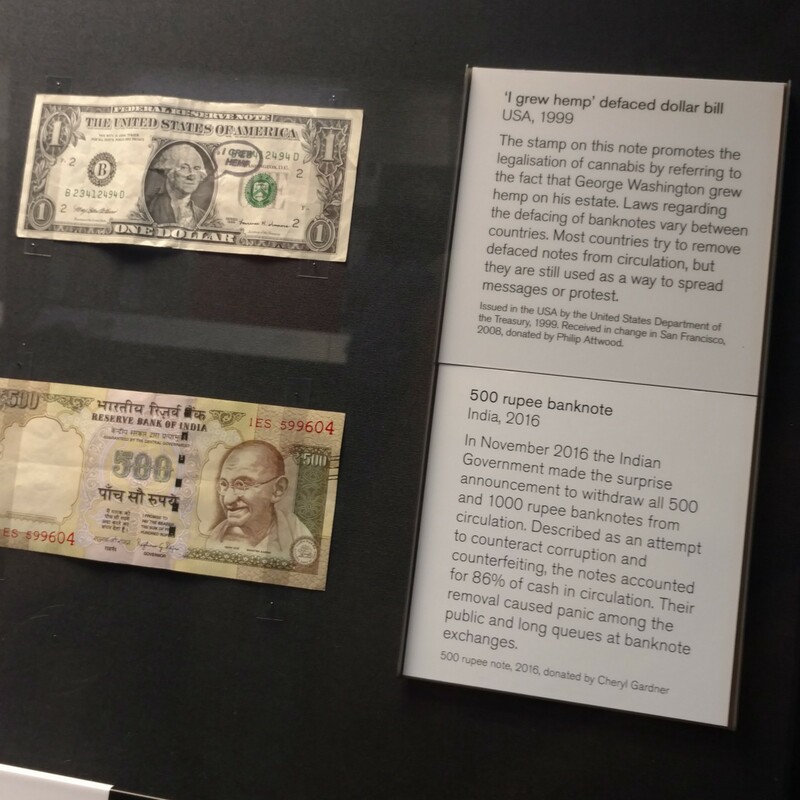 The critical difference of course was that, while in 1978 the banned notes were a tiny portion ( ~3%) of all printed currency (and huge in terms of their relative value to other denominations), in 2016 they were the very lifeline of the economy. This was never going to be easy. Mr. Modi warned citizens of some temporary inconvenience and requested patience. People were given time until December 31st to deposit (no limit) or exchange (up to Rs. 4,000) their old notes at banks and post offices. Also, while the ban was immediate and total, certain concessions (old notes could be used for 72 hours after the announcement) were made for patients at government hospitals and for those using government transport. Limits were introduced on withdrawals from ATMs and accounts (Rs. 10,000/day and Rs. 20,000/week) with the promise that these would be temporary (a couple of weeks) and lifted once the supply of new notes was in place. It all sounded pretty reasonable, and as though the complex implementation had been thought through. Also, in the course of his speech, Mr. Modi let it be known that the ban was not just a surprise for normal citizens, but also for banks and the government at large. Secrecy had to be maintained because in its absence, the corrupt and the criminal would find ways to get rid of their cash stashes and the whole point of the exercise would be lost. This was shock and awe, and definitely added to the excitement on the night. But would the ban work? As soon as the ban was announced, experts and panelists started to dive into transaction data sets from India and around the world to outline cases either for or against Demonetisation. One thing was certain, India had a love affair with cash. It is estimated that before the ban, upwards of 95% of transactions by volume (especially those less than Rs.300 or ~US$5) and about 70% by value were done using cash. For a country of India’s scale, those are enormous figures. In contrast, in the USA, 40% transactions by volume and only about 15% by value are in cash today. While technology and maturity of systems are important considerations in explaining that gap, it is also to be noted that there exist advanced economies like Germany (80% transactions by volume) and Australia (65% by volume) where cash still commands a huge influence. Clearly, the move away from cash isn’t just about better infrastructure. Behaviours and cultures seem to also have a strong influence. Why So Much Cash in India? There are many factors contributing to the dominance of cash in the Indian economy. Below, we highlight a few themes that are important to consider as we look to understand the change Demonitisation was looking to create in India. As has been highlighted earlier in this post, Mr. Modi’s primary objective was to counter India’s ‘black money’ phenomenon, which is essentially business and individual income that is unaccounted for by tax authorities. Differing estimates of the Indian black economy have been put forth by experts (for example — ~17% by Association of Chartered Accountants , ~26% by Mckinsey, and 62% by economist Arun Kumar) but one thing is clear and consistent — the black economy is sizable. Income tax collection figures in India show that less than 4% of India’s adult population files annual income tax returns, and less than half of those who file actually end up paying any taxes. While there are multiple concessions provided for farmers, and the self-employed, all agree that the paying population is abysmally low. Indirect tax (sales taxes, excise, customs etc.) collections too have witnessed a similar trend. While compliance has improved over the years, the roots of evasion perhaps lie in India’s tax structure from the early years of independence. In the early 1970s, the highest income tax rate was close to 98%, with almost a dozen tax slabs to further complicate matters. Indirect taxes were also similarly complex, and substantial, with companies often paying upwards of 60% in taxes. The incentive to declare income, and pay taxes in full was extremely low in those years, and over time a culture evolved that viewed taxes as a form of evil (the corruption and inefficiency of the government was often an additional excuse for people) and valued ways to out manoeuvre authorities. While the Indian tax regime has since become relatively benign, the culture on the ground hasn’t changed as much as one would have hoped for. It is common, for example, for retailers in India to ask customers if they would prefer a ‘kacha’ or raw bill versus a ‘pukka’ or solid bill — the latter being with tax, whereas the former being without. Leaving the taxes out has become a consensus of sorts between businesses and customers meant to keep costs of transactions and compliance low. This consensus has reached worrying scales in sectors like real estate and higher education that are recognised as black money havens by most experts today. It is no surprise, then, that cash as a medium that is by and large anonymous, has become a prefered option for those avoiding the taxman’s gaze. Mr. Modi was hoping to counter these tendencies through Demonetisation, and through other reform measures such as the Goods and Services Tax (GST) that rolled out in mid-2017 after years of back and forth. The results from Demonetisation are something we will discuss later in this post, while actions like the GST are outside our purview for the moment. 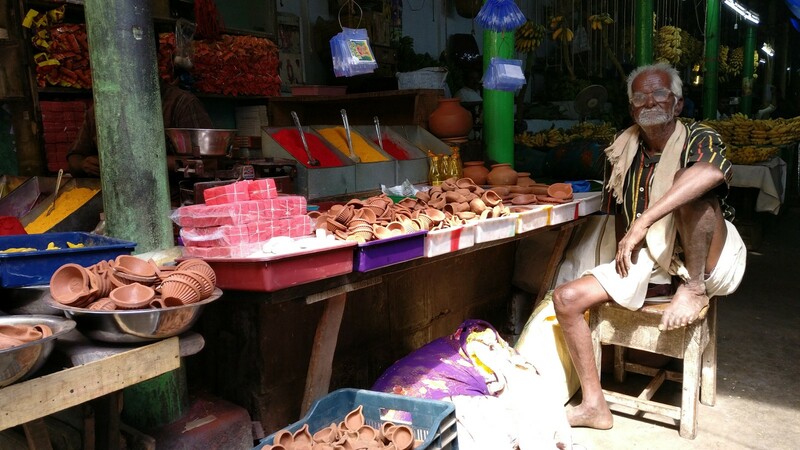 Like other emerging markets, the contribution of the informal economy to India is immense. It is estimated that more than 80% of total employment is in the informal sector and the nature of jobs (outside of agriculture) is highly diverse — household help, construction labour, hawkers, small retail stores, small food and hospitality set ups, small manufacturing set ups, handicraft etc. While one could be tempted to classify much of the informal set up as part of the black economy (as some experts have done), it is worth considering that given the size of operations, and income levels, many of these businesses and individuals operate under the income levels (currently Rs. 2,50,000 / year) that trigger taxes and work within thin margins that would disappear if the costs of compliance were to become high. Yet, most observers do agree that more from the sector could pay taxes if there were greater insight into informal activity, business friendly registration and licensing, and easier ways to enforce laws among other actions. Any future considerations for the informal economy are complicated by the nature, scale and scope of the sector. Cash has been the prefered medium for most of the informal economy — in part because transaction values tend be quite low for most purchases, businesses are much more likely to cater to low-income customers (who are in turn less likely to use other payment options), many are run by low-income entrepreneurs, the supply chain continues to be cash dependent, and in many cases because cash keeps income and expense out of the official radar as has been discussed above. One of the unstated objectives (at least at the start) of Demonetisation was to accelerate the formalization of the informal economy. It was hoped that the move would lead to a great catalysis of non cash payments in the informal sector, and by doing so create greater transparency and interaction with formal banking systems. We discuss the impact of the move on the sector later in the post. In 2011, close to 550 million Indians remained outside the formal banking system. That number had since come down to 165 million by November 2016. The government’s Jan Dhan Yojana (a bank account opening program that involved agents going door-to-door among other things) has been a formidable accelerator of this process, and estimates suggest that close to 99% of Indian households now have at least one bank account. In days following Demonetisation’s announcement, 20 million new Jan Dhan accounts were opened as citizens rushed to banks with cash to deposit. By August 2017, the total number of these accounts had swelled to ~300 million. While these are commendable achievements, there remain questions on how gains made in terms of access can now be translated into usage and impact. It has been observed that many of these accounts tend to be dormant for long periods, and studies have suggested that usage evolves over time (~1 year or more). While banking becomes commonplace, one thing is certain — India’s unbanked population has significantly contributed to its affinity towards cash. A steadily evolving narrative after the ban was focused on the positive impact of the move on financial inclusion. The previous expansion of bank accounts proved critical in alleviating some of the pain for low income citizens, and the ban did nudge many others to enroll themselves in the formal system. It seemed that there had been some positive short term change in behaviours, but will the gains stand up to the test of time? The Indian economy has grown steadily since its liberalisation of 1991, emerging as one of the fastest expanding and most stable global economies in that period. India has also found itself evolve as a global leader in technology and technology enabled services in the last two decades. Bangalore is often spoken of as one of three global hubs for technology innovation (along with the Bay Area in the United States and Beijing). There are more than a billion mobile connections in India and Internet access has vastly expanded and continues to do so. Smartphone ownership stands at ~ 20% and is currently booming as 4G networks expand. Indian users are a substantial presence on social media platforms. The digital age, it seems, is well and truly amongst us and hopes are high that India can finally unlock its immense and diverse potential. As one of sectors benefiting from the technology boom, Fintech has been quickly evolving as an exciting frontier for innovation. Existing banks and financial service providers are competing with a number of start-ups in the market — especially in the payments domain. To accelerate innovation in payments, the government of India had started the National Payments Corporation of India (NPCI) in 2008, and because of that move, over the years, many new payment standards and technologies have been introduced to the market. In addition, India’s biometrics enabled identity card system — Aadhar, has helped create a framework for the next generation of government and private services — including financial services. In the case of payments, the government hopes that Aadhar based transactions will ultimately ease the experience for rural and low-income customers. The extensive use of Aadhar though has raised serious concerns of security, privacy, and government overreach — issues that civic society, legislators and the judiciary in India continue to debate on. The government on its part had hoped that all these innovations would ultimately ease the Demonetisation experience. And they did to some degree, especially in the cities. But, as has been highlighted before, cashless payments were a miniscule slice of the overall transaction pie before the ban, and there were strong reasons. A large portion of India’s population is still rural, and both the awareness and reach of alternatives were extremely low as the ban was announced. Even in urban centres, the awareness on digital finance, and the use of Point of Sale (PoS) machines were quite poor at the time. Network reliability remains weak in many parts of the country, making adoption and trust complicated issues. And, while many Indians have smartphones now, there is a long way to go before they become a standard, and users start using them for transactions. Many experts hoped that Demonetisation would help India leapfrog 5–10 years ahead in terms of digital transactions. While there were plenty of upsides for cashless payments as a result of the move, the jury is out on whether we have seen the sort of defining shift one would have hoped for. Lastly, and importantly, India is a land of quirks, and our love for cash can sometimes be just that. For example, cash is extremely important for religious and ceremonial purposes, and one of the many criticisms of the ban was that it was done in the middle of the wedding season. Cash is used extensively for gifting (and is considered auspicious), and suddenly many people found themselves searching for alternatives that were as convenient. Another commonly held belief (especially amongst the middle classes) is that cash helps control expenses — an attitude that can take time to change. Take the case of credit cards, which even after many years of being around, have only been able to get to a relatively small number of Indian users. 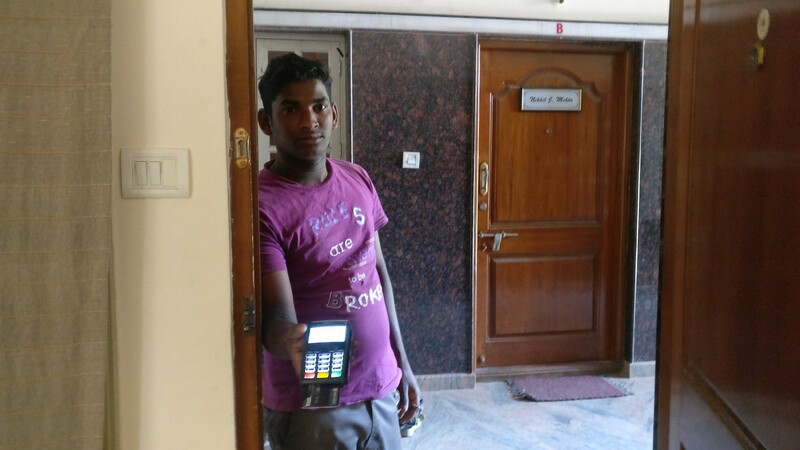 Many Indians also associate control, power and influence with cash, and a shift to cashless options appears unattractive to them. For example, even when purchasing online, a majority of Indian customers prefer Cash On Delivery (COD) as the mode of payment — something that has been very unique to the market and has forced many e-retailers to evaluate their promise and delivery. India’s love affair with cash is pretty serious. 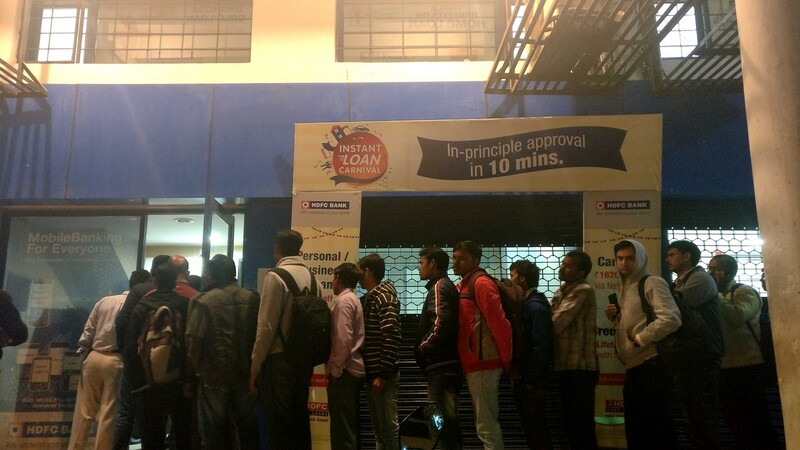 In the days following the announcement, Indians queued up outside banks to deposit their old notes, and outside ATMs to withdraw the new ones. The banking system was thoroughly unprepared for the surge, and it did not help matters that new notes had not been printed in sufficient numbers before the announcement (and soon we realised that new notes could not be printed by existing presses as quickly as was needed). The government and central bank tried to ease the money supply by introducing a Rs. 2000 note, but the problem with that logic was that it was totally inappropriate for small transactions at small businesses. Also, it soon came to light that ATMs had to be recalibrated to hold the new Rs. 2000 and Rs.500 notes — that took weeks to happen. 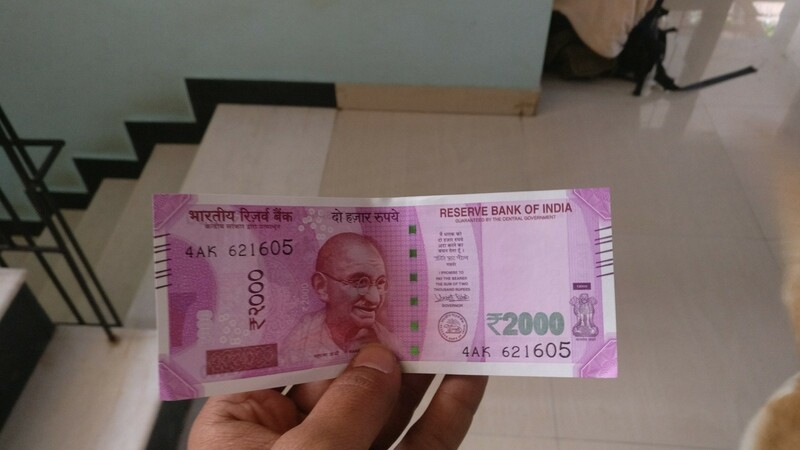 Many also asked the obvious question — if the target was high denomination notes then why the new Rs.2000 note? Mr. Modi had promised that restrictions would be short term, but as days and then weeks went by, it became evidently clear that the government machinery had been taken completely by surprise. The restrictions stayed, and in what seemed at times like a comedy of trial and error, new restrictions and adjustments (deposit, withdrawal, declarations, proofs etc.) were announced every other day. On the ground, businesses were seeing a freeze in transactions. Many small businesses complained of a fall of 40–50% in revenues during the two-month peak period of Demonetisation. The rural economy — dependent almost entirely on cash was badly hit. News channels carried daily stories of distress: patients not being admitted because of a lack of cash, marriages being cancelled, people unable to pay for basic items, etc. Dr. Manmohan Singh, a former Prime Minister and noted economist, went as far as to predict that the freeze in economic activity would result in a 2% decrease in GDP, if not more. Through all the confusion, incredibly, many common citizens continued to believe in the merit of the idea, and displayed a genuine will to do their bit against corruption. The banking industry’s reaction to the move was mixed — while there was going to be a surge of deposits (good for the balance sheets), they could not really focus on much else during those two months. The fintech industry was understandably enthused with the unexpected windfall. 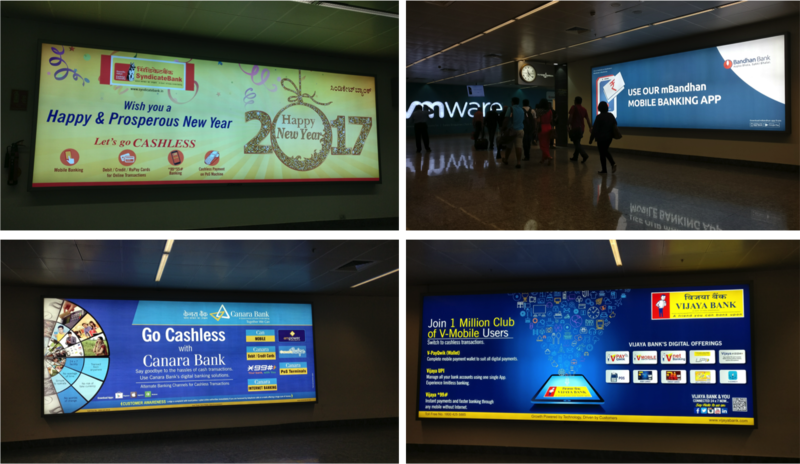 Major players in the mobile money space such as Paytm and Mobikwik massively expanded their outreach to retailers, spent big on advertising, and rolled out multiple engagement and incentive schemes. The government also launched a new mobile money application — BHIM (Bharat Interface for Money) that allowed people to transact directly from their bank accounts using mobile. The central planning authority Niti Aayog threw its weight behind demonetisation with a large incentive scheme of its own. All hoped to make the best of the time between the ban and a return to normal (the hope of course being that digital would be the new normal). Despite some initial reports of chaos and misery for the corrupt (even one of sacks filled with old notes discarded by the wayside), there were also reports of some disturbing trends on the ground: bank employees assisting clients in the conversion of large amounts of old notes into new ones, household help (maids, drivers, gardeners etc.) depositing cash into personal accounts on behalf of employers, touts and middlemen helping black money owners deposit large amounts of cash by charging commissions (~15–30%) significantly lower than the government penalty (50%) for voluntarily declared untaxed wealth. Demonetisation had been disruptive, and some experts even attempted to argue that disruptions were good for India, and frequent disruptions were needed to enhance our appetite for new ideas and solutions. The questions on many a mind however focused on the positives that would eventually come out of this great disruption. 31st December 2016 was officially the last day to deposit old notes at bank branches. At the time of announcement, everyone’s expectation had been that normalcy would prevail by the deadline. But, withdrawing ~86% of the currency had been no small jolt. The printing presses of the RBI were still running three shifts a day, trying to pump money back into the system. Economic activity, especially in the informal sector, had been hurt badly by the ban and continued to struggle for many months. In time the GDP numbers were released, and growth had come down from 7% in the previous quarter to ~6% in the last quarter of 2016 (India’s financial year runs April — March) and fell even further to ~5.7% in the first quarter of FY 2017–18. These were some of the lowest growth rates in past decade and a half. Experts have also been quick to point out that India’s total GDP figures are calculated by assuming that informal sector activity mirrors the formal, and therefore extrapolating core formal sector numbers to arrive at a final figure. Given the impact on the informal sector, the extrapolation may not fully represent the full story on the ground, and actual rates may actually be lower than the figures released (official figures tend to be revised in time). The transition to GST soon after Demonetisation (about 6 months after 31st December) has also added a degree of complexity (at least in the short term) to a tough market for small businesses. Everyone expected pain but the hope amongst citizens was that the recovery of large amounts of black money would make it all worth it. So was it worth the pain? Not really. At least not until now. The RBI’s annual report released in August 2017 announced that more than 99% of the banned currency had found its way back into the system — this at a time when many normal citizens (including yours truly) still hold onto the odd old note as souvenirs or because we lost track of them. There are even stories of people in rural India who had no knowledge of the ban (that can and does happen in India) even as it came and passed. Additionally, many Non Resident Indians (NRIs) and expats are known to have held onto their old notes because they could not return them in time. There had been much talk of a windfall for the government from the black money that did not return — money worth the unreturned notes would be written off and simply passed on to the government’s balance sheet. Unfortunately, that is not what happened. In fact, the central bank’s expenses shot up due to the printing of new notes and the interest it now had to pay for greatly enhanced deposits at the banks. The government’s response to these facts has been the suggestion that a sizable portion of the deposits made during Demonetisation are under study, and that it hopes to recognize evaders over time. That could be a long and tough exercise, and it is hard to say if any significant results can be achieved. For the financial inclusion, fintech, and payments sectors, the results from Demonetisation have ultimately been mixed. There is no doubt that people are more aware of their options today, and that many retailers, especially in cities like Bangalore, provide more transaction options than they did before the ban. In the two months following the announcement, digital transactions almost doubled and it seemed that the momentum would stay, but since then, the numbers have held steady or even dropped. Data from July seems to suggest that while the growth in cashless transactions after Demonetisation has been impressive, it also seems to have followed the general trend of the past 5–6 years. More recent data from October seems to suggest that the BHIM app has increasingly found favor with users, and mobile wallets have also done well — but at the same time, the overall growth of digital transactions (year on year) remains shy of 20%. The expectation that giant leaps would be made, has not been fully realised. It seems that even after such a giant step, fundamental change in people’s behaviours, and the system’s realities has been difficult to achieve. From a tax compliance point of view, while there has been a growth of income tax returns filed in the gone year, these numbers also seem to suggest that the percentage increase has been in line with recent trends, and a drastic increase in tax payers (as had been hoped for) has not quite materialised. Critics of Demonetisation include former Governor of the RBI, and globally respected economist Dr. Raghuram Rajan who recently (September 2017) revealed that as the head of India’s central bank, he had always been against the move. He had felt that the execution was too complex, and that costs were highly likely to outweigh any potential benefits. Many feel that he has been proven right over the course of the year gone by. As has come up earlier, a huge positive for the government (regardless of the economic results) has been the public perception that it is against corruption. In February-March 2017, the ruling BJP party won an impressive majority, and came to power in India’s largest and most influential state, Uttar Pradesh. The election had been in many ways a referendum on the note ban. Since then, a lot more attention has been paid to the real impact, and only time will tell how voters and citizens respond in coming elections. There have been plenty of lessons from Demonetisation. For the purpose of this article, we will try and touch upon a few key themes as they emerge. The government looked to Demonetisation as a way to change behaviours on multiple fronts, and while being partially successful, also seems to have seriously underestimated the resistance that change can have. Behaviour change is often looked at through the lenses of motivation, capability, and opportunity. 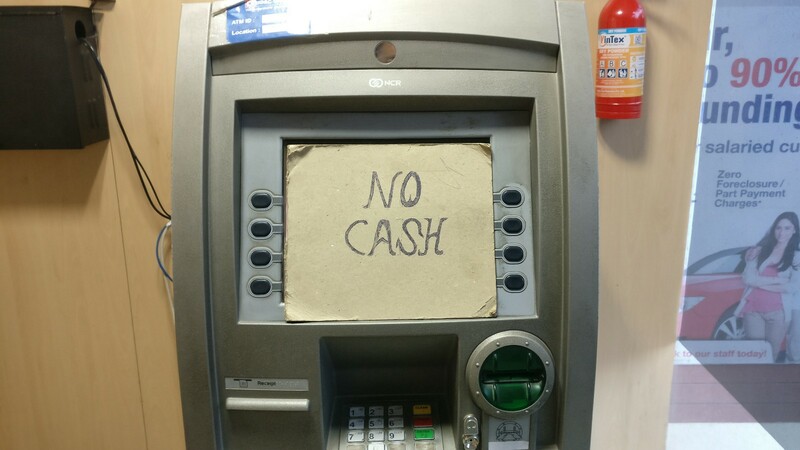 The lack of cash itself should have been as good a motivator as any for people to move to alternate channels, the dozens of payment apps and technologies should have been readily accepted, the multiple incentives should have encouraged adoption, the fear of taxmen should have been taken seriously, new bank accounts should have made life easier, and even the nation building sentiment should have encouraged people. Yet, the results we see are somewhat underwhelming. There is a saying in India, “we are like that only”, and anyone who underestimates the effort that long term behaviour change needs in a large, old and complex economy and culture such as India should be in for a surprise. Demonetisation was meant to achieve a number of objectives — they may or may not have been met, but as with all large scale change, there were a number of unintended consequences. We have been through a number of them earlier in this article. The most painful impact was on the informal sector and the mainstream business sector. It is estimated that over 1.5 million jobs were lost during the period and hiring froze. In a country struggling to create jobs for its youth, this was not what any government would have wanted. Any change, big or small, has to be cognizant of the domino effects it may unleash, and extensive scenario and risk planning are critical investments to make — even it they may sometimes seem like unexciting pursuits. As has been shared earlier in this post, even in the most advanced economies, cash has and will have a role to play. We, as stakeholders in and shapers of the future, would do well to consider how different cultures and systems view their realities. Cash remains a highly user friendly solution, and will always remain so. Alternate solutions have to understand and match the ease of cash, and resist the tendency to vilify it. As an extension of the point on behaviour change, we would all do well to remember that citizens in democracies like India are participants in a market economy — free to interact with and adopt solutions of their choosing. The success of mobile money/digital finance in economies like Kenya (the case of MPesa) has been possible because of innovations that were based on the fundamental understanding of human needs and behaviours. As numbers suggest, while Demonetisation was a useful nudge, the long term success of cashless payments is going to lie in how they address real user needs. Government has a crucial role as the facilitator of this process. It has been evident from Demonetisation that raising financial literacy is a major challenge and responsibility for the government and the industry. There is a steep learning curve for many low-income customers as they adopt new technology, become part of the formal banking network, and understand the different benefits and costs involved. The poor can surprise us with their grasp and adoption of technology — provided it is relevant and useful. Investments in building, and communicating solutions that address their needs are fundamental in order to achieve desired long term results. Citizens in remote parts of the country were deeply inconvenienced because of the ban. So were those in many of India’s urban centres. Infrastructure remains a weak point, and while banking agents and innovative solutions like micro / hand-held ATMs etc. proved extremely useful during Demonetisation, a lot more attention needs to be paid to infrastructure constraints, and solutions that may be possible. 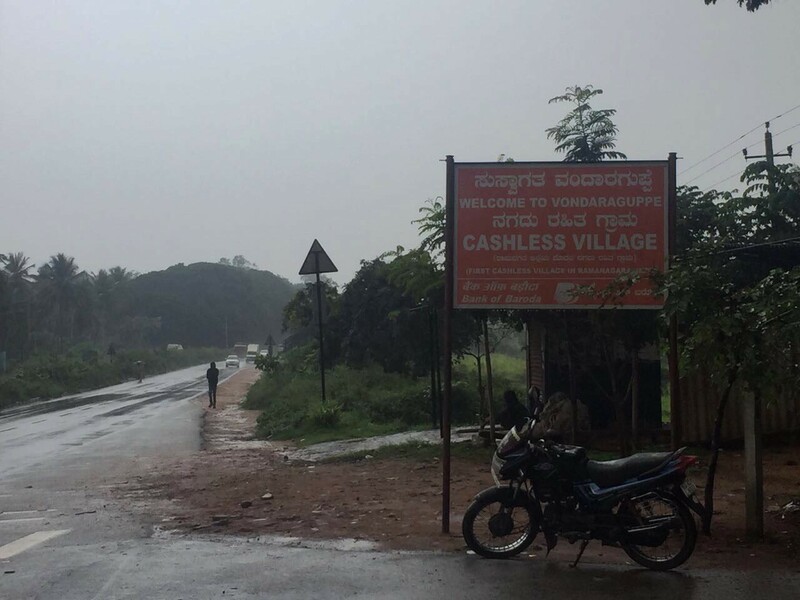 For example, there have been reports emerging that some of the villages declared cashless by sponsoring banks (a marketing initiative at the height of demonetisation) are in fact struggling with basic Internet connectivity and returning back almost entirely to cash. One has to be realistic in the estimation of what is achievable in the short to medium term, and there is the need to continuously prototype and test hypotheses and solutions with users. It is clear that Demonetisation was a decision of the few, and not a collaborative and open exercise. While it is understandable that secrecy had to be maintained, fundamental planning seemed to be absent at times. The biggest failure of Demonetisation has been its implementation. In the course of the two months that followed the ban, it often felt like the government was missing a ‘War Room’ where different experts and stakeholders could be brought together to cohesively and coherently tackle the aftermath of a disruptive decision. At other times during this ban, it felt like the government was being too goal centered (introduction of Rs. 2,000 notes for example) and not as citizen-centered as it should have been. Policy framers have to discover ways to be more citizen-centered in their designs — especially with decisions that are as far and wide reaching as Demonetisation. For a long time, word went around that the Indian government was planning to undertake another round of Demonetisation — this time banning the Rs.2000 note. That may or may not happen — we do not know, as we did not know when the first round came. It is highly unlikely though, given the recent experience. Recently, the tax authorities have announced that over 35000 shell companies are under the scanner and deposits made after the ban (about Rs.17,000 Crore or $2 Billion) are being investigated. We’ll have to wait and see what that effort leads to and whether that is the tip or the whole of the black money ice-berg. At the end of a year, as observers and students of change, while it feels like the government has perhaps gained in terms of popular perception, has to some extent been successful in sending a warning out to sectors known as black money havens, and has facilitated digital adoption in bits and parts; substantial movement on the primary objectives of the ban has not really been witnessed thus far. We intend to wait and watch. Change is exciting, and rich in learning. And learn we must.